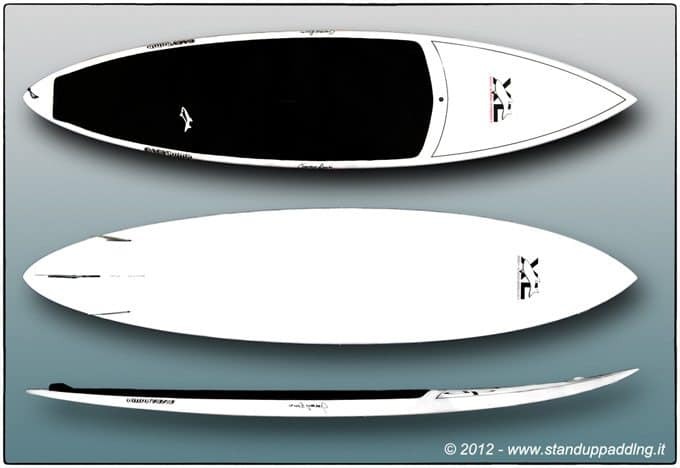 Jimmy Lewis Baby Bomb sup – SUP, Windsurfing UK. 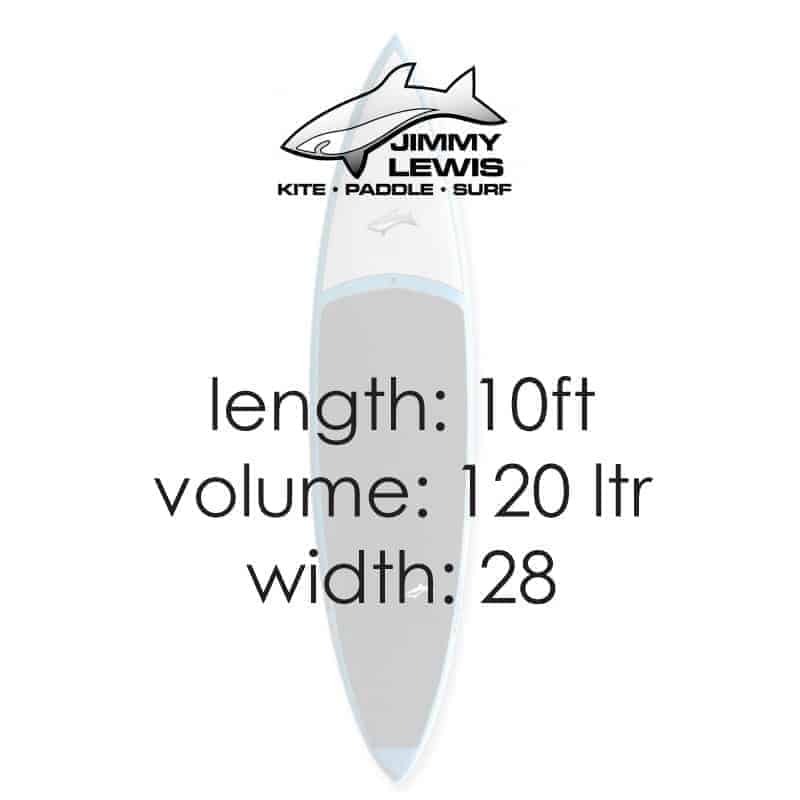 Jimmy Lewis Baby Bomb sup surf board designed to slay big, fast waves like Cribbar, UK. 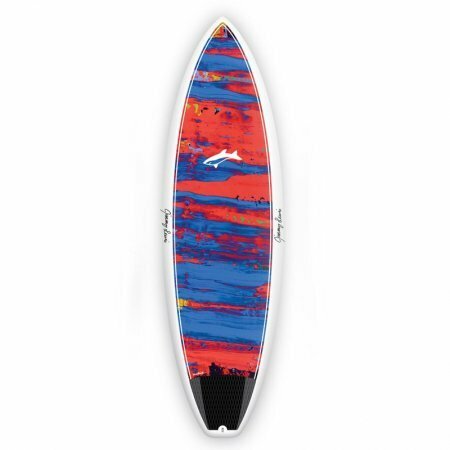 A serious board for a pro rider. The Jimmy Lewis Baby Bomb is a designed for riders looking for a serious gun. 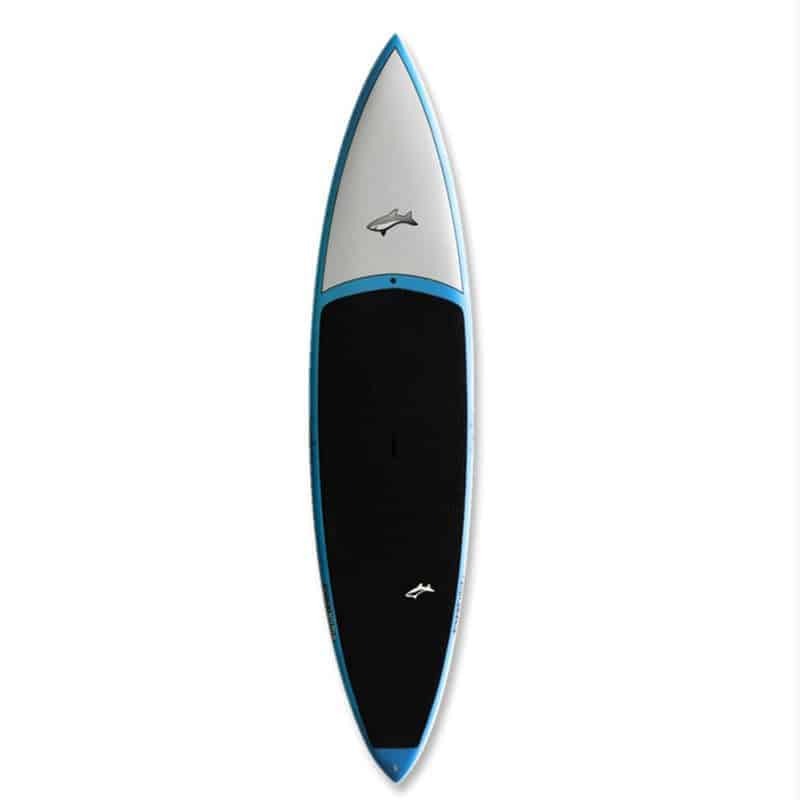 A board designed to cut a wide outline and high speed turns on big waves. Looking at these dimensions you can see that it is pretty narrow but carries a reduced volume as well. This Jimmy Lewis Baby Bomb isn’t thick and that has helped to keep volume away from rails giving sharper bite needed for that high speed control. 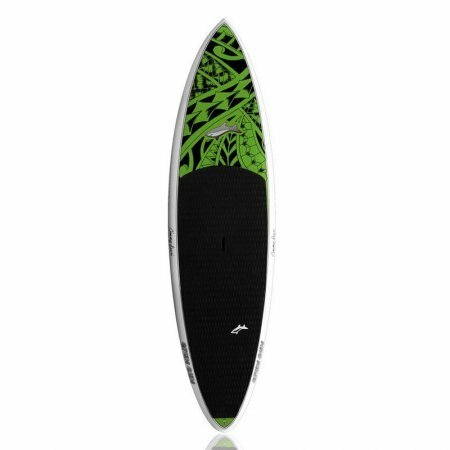 The outline and rocker line are really well balanced with a fast shape and controllable pin tail that sits on top of a constant rocker. You’ll be dropping into some fast serious waves on this board so take off and drop has to be perfect. The rocker is such that sinking the nose is impossible and the reduced tail kick delivers higher speed. 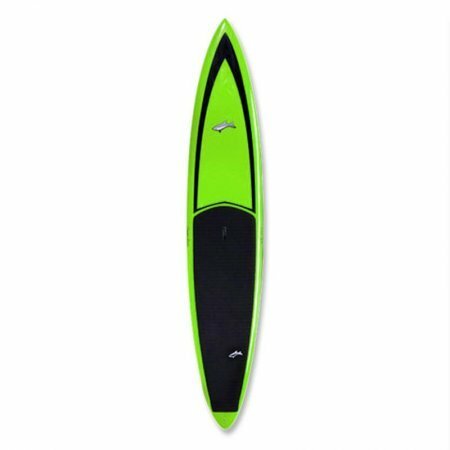 As with all performance sup surf boards you have to learn to paddle a narrower board than is often offered on the more all round wave sup. The Baby Bomb is 28 wide but add to that the pin tail and nose and you have a fairly tippy board. 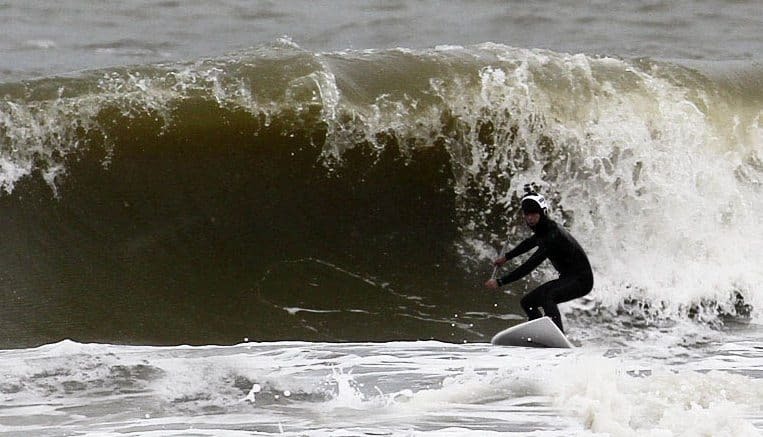 I rode Jimmy Lewis Baby Bomb in a range of conditions from well overhead and clean to 3ft crunchers. I’m used to riding much smaller sups but am still weighing in fully wetsuited up at 90kg. During the 3 day road trip this board never felt awkward or out of place. I can’t deny that it was nicer when the waves got bigger but that is what it was designed for so you can’t knock it for that. 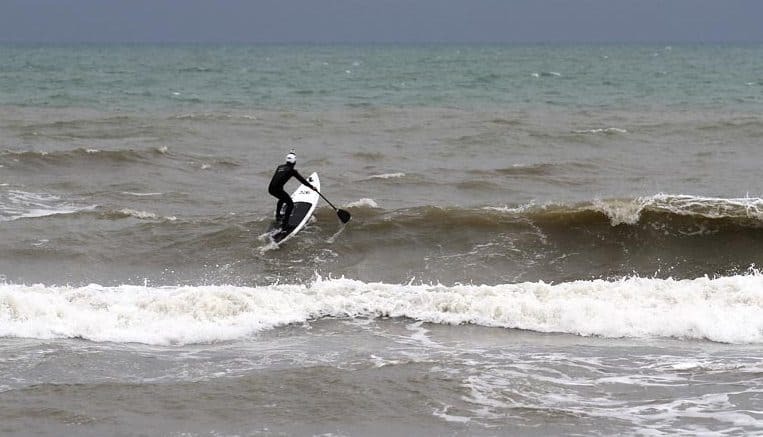 With a longer drawn out profile and faster tail the board was really smooth in high speed wider turns and loved being driven hard from the tail. BUT and it’s a big BUT – it still let itself go loose when you let off the gas which can’t be said for some of the other guns I have ridden. 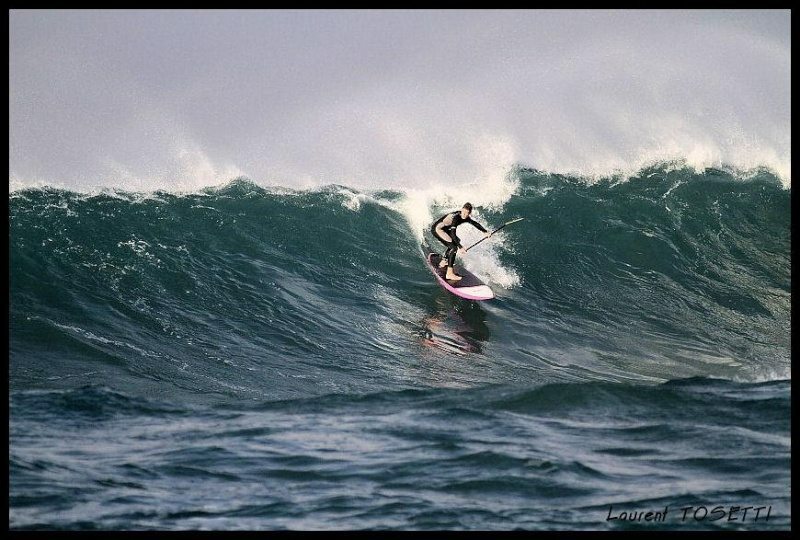 Compared to shorter sups the Baby Bomb was really easy to paddle and had pretty good glide out through the wave. The lesser volume also made it really easy to bash out through the foam as the board didn’t try to explode you into space. Because it was so easy to glide I opted for a slightly bigger paddle blade. That really felt good when I was picking up the bumps early and wanted to push the board onto the plane early. 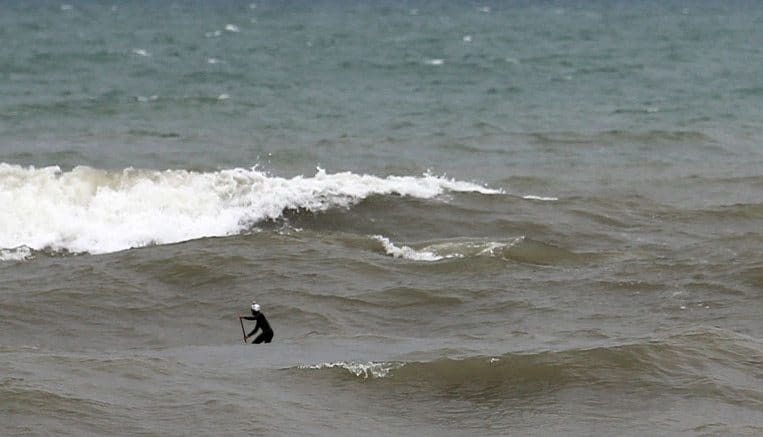 All in all a seriously impressive test run that showed itself as a leader in 3+ft waves. 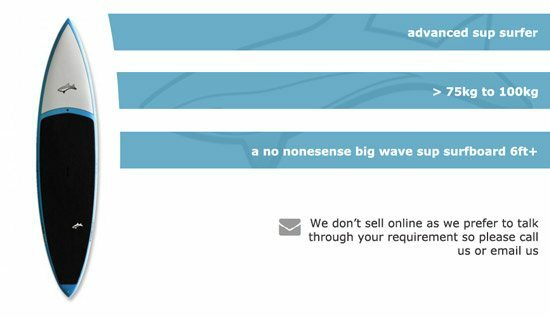 For those of you looking for an allround surf sup for smaller south coast waves here in the UK then I’d say come try the Stun Gun, Worldwide SUP, Striker, Hanalei, or Kwad. 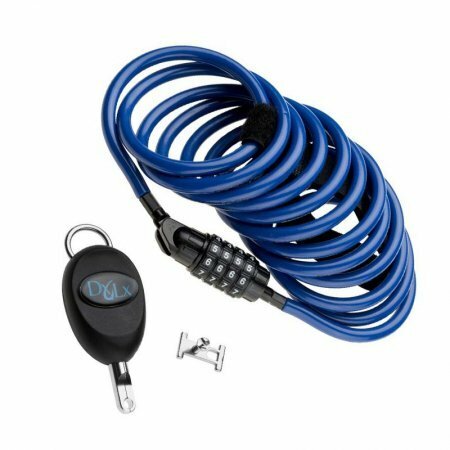 They can deliver more in the smaller conditions we regularly get and are less exacting of the rider. BUT if you’re are looking for a serious big wave gun for Devon, Cornwall or Irish surf then the Jimmy Lewis Baby Bomb is right up there.